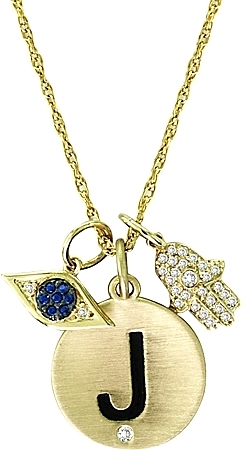 This necklace by Maya J features an initial disc,a diamond hamsa and a diamond evil eye. *Different layering charms available; call for details. On the order page please specify what initial you need.